TPE is for everyone and we have responsibilities as employers. 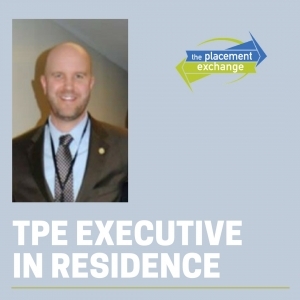 I have attended TPE as a candidate twice and as an employer a number of times and each experience was incredibly different. The most important thing for me is that we all need to be present at TPE when we have opportunities available on our campuses. No matter what types of positions you have, every entry-level role has a place at TPE. The future of our field is in those waiting rooms and we can offer them more than just jobs. Both times I attended as a candidate, I was looking for jobs in Community Service and found only a few opportunities. However, I was thankful for the three jobs that were posted in that first year as one of them led to a job for me directly due to my engagement at TPE. This was not the case the next year when I didn’t find any jobs in Community Service. However, a relationship I made and mentorship I received as a volunteer the year before made a difference. That mentorship led to being hired at my current institution and because of TPE, I have been here for 16 years. This is one of the underappreciated values of TPE and the importance of us being there as employers and mentors. As employers, we have to remember that there is no better time or opportunity to engage with an amazing number of eager, qualified candidates than TPE. While there are many positions for candidates with experience, I think we can’t miss this chance to reach out to and engage with the newest members of our field. Along with the opportunity to hire many of these talented and motivated individuals, we have a responsibility to mentor and guide them through the process as employers. The mentoring responsibility we have for our own graduate students extends to every candidate at TPE. Remember that this is a stressful time and recall how a kind word when you were a candidate changed your whole day. When you have a candidate at your table who is not doing well and you know won’t be a good fit, how do you help them get some level of success in the interview and help them succeed whether it is with you or someone else? When a candidate has a typo or an issue with their application that could derail them in their job search, do you take the time to help them find success by pointing this out to them? When you have a candidate for one of your positions that you know would be a better fit for another campus, do you connect with your friend there and make a connection for them? Let’s be more than potential employers, let’s be servant leaders who are focused on the future success of the field, and not just our own campus. TPE is for everyone and I don’t just mean the candidates. I love to walk through placement and see the excitement, nervousness, and passion for higher education in the eyes of every single candidate. This is why we need to bring every type of job to TPE and it’s why we have to mentor and guide every candidate, whether they want to work with us or not. In the next few months, let’s enjoy the ride that is TPE and remember to look around to make sure everyone gets the most out of it and the best experience possible from the Space Mountain that is TPE. Dr. Miller currently serves as the Associate Dean of Students at The George Washington University. His experiences in student affairs administration, along with new student programs, student activities, housing & residence life and fraternity/sorority affairs will offer a diverse perspective to our theme this month. Dr. Miller received his Bachelor of Science and Master of Arts from James Madison University, and a Doctorate in Executive Leadership from The George Washington University.